The Thursday Night group are intermediate riders who meet each Thursday at 6pm. Rides are posted on the site and sent out via email. This site is a great resource for local rides. Mission: To inspire people of all ages to travel by bicycle. A website for all thinks mountain biking in Missoula. 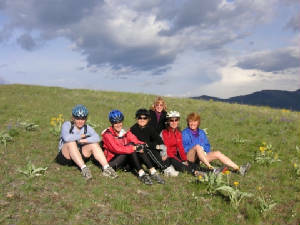 Maps, group ride listings, other things to do in the Missoula area. bike shop that offers service and used bikes. Great Northern Cycles bicycle shop located in beautiful Whitefish, Montana is just minutes from Glacier National Park.